Hi! Not able to get one of my children's Brio train to start, tested the motor and that works great so pretty sure there is some problem in the "switch area". 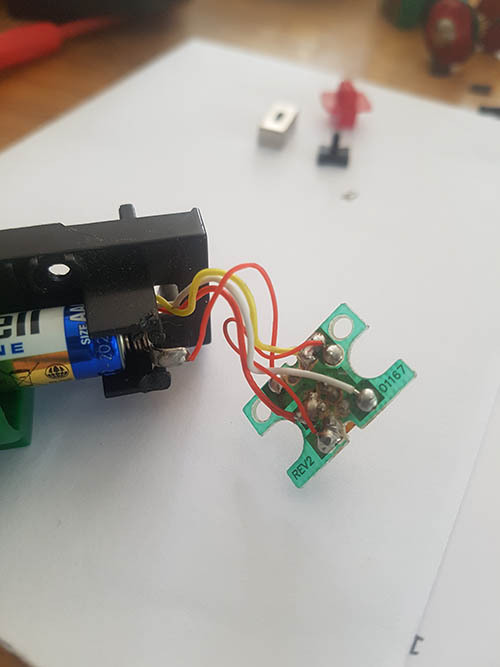 Question 1: Opened the switch but now I do not know where the small metal piece should be placed when I put everything together? Hope someone have time to help out, thx!